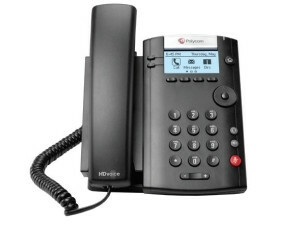 The Polycom entry-level VVX201 phone now completes the VVX Business Media Phone portfolio. With a full range of entry to executive level phones, the VVX portfolio delivers value to cloud/hosted voice service providers and enterprise customers alike. Supporting integration to both Open SIP Voice platforms such as Broadsoft, Genband, Metaswitch, Genesys, Interactive Intelligence and Alcatel-Lucent Rapport for Enterprises, along with Microsoft Lync/Skype for Business markets, Polycom offers increased value to the business voice market. 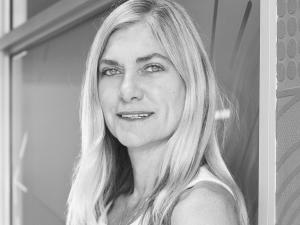 Gail Holt, MD of local Polycom distributor, Hardware.com, comments: "The VVX range, including the VVX201, has been extensively tested by Microsoft and certified for Lync/Skype For Business, which means all VVX phones can be deployed with confidence into Microsoft Lync/Skype For Business environments. "The VVX201 is essentially the replacement for the IP331, which has been in production for the last 10 years! Although the IP331 is still available and shipping, we recommend all customers adopt the VVX201, which has the newer look and feel, better features such as HD voice and comes in at a much lower price point," adds Holt. The hosted voice market is growing at an incredible rate. Transparency Market Research (TMR) forecast that the global VOIP services market will expand at a 9.7% CAGR during the forecast period of 2014 to 2020, and is projected to be worth US$136.76 billion by 2020. The majority of issues, such as security and reliability, which once hampered cloud adoption, have been or are being addressed and service providers of all types have broadened their VOIP application capabilities and expanded their overall portfolios. As a result, the subscriber base of the global VOIP services market is expected to reach 348.5 million by 2020^1. In South Africa, there is an increase in hosted/cloud-based voice service providers (SPs) with a number of new entrants. * Close relationship with tier one hosted platforms, resulting in reduced lab testing and ensuring a faster time to market with new services. "This will drive competition among the hosted voice providers to create new, innovative voice over IP services, which, inevitably, can only benefit customers," concluded Holt. Polycom helps organisations unleash the power of human collaboration. More than 415 000 companies and institutions worldwide defy distance with secure video, voice and content solutions from Polycom to increase productivity, speed time to market, provide better customer service, expand education and save lives. Polycom and its global partner ecosystem provide flexible collaboration solutions for any environment that deliver the best user experience, the broadest multi-vendor interoperability and unmatched investment protection. Hardware.com is an official Polycom distributor and supplies the complete range of Polycom voice solutions for SIP platforms and Skype for Business/O365, including the RealPresence Trio. All products are fully supported by their comprehensive portfolio of professional services. These services are designed to assist clients throughout every stage of a project and are fully tailored to suit the organisation's requirements. Services include supply of demonstration and POC equipment, installation and pre-configuration, technical and support training, onsite technical support and assistance, onsite end-user training (both on the handset and the SfB client) as well as second-tier support contracts.